The accounting journal records chronologically and continuously all the economic operations of your association. To add an income or an expense, use the buttons “+ income ” and ” + expense” and complete minima the required fields ( date, amount, payment method). You can also complete the optional fields (category, ventilation etc …). 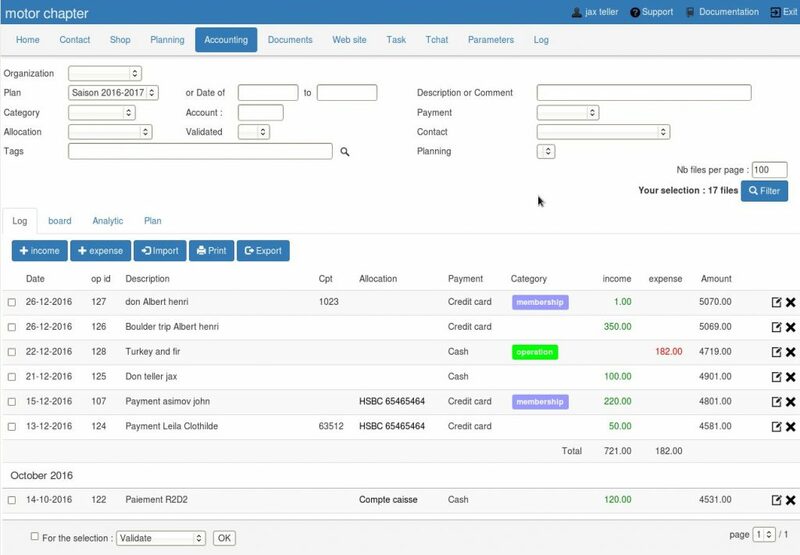 NB : payments you add in the cart of a contact come automatically create an income in the journal. If you later remove this payment in the cart, this income will be removed in the journal, and consersely. 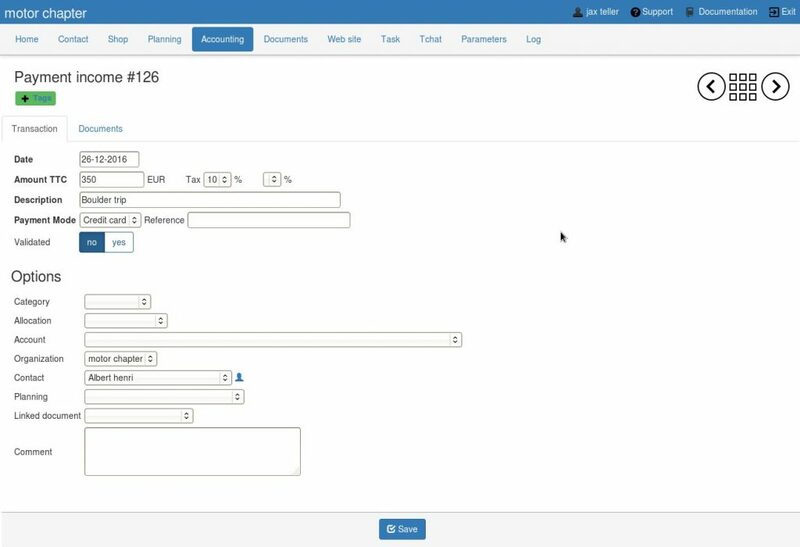 The view which displays all operations (log) allows you to perform various search and filter operations : by account , by analytical category, by ventilation, by title , by payment method and by check number. You have some collective features at the bottom of the page: confirm or delete multiple movements. The operation you create (expense or income) include elements related to its nature and payment. You must indicate the name of the operation , its amount, and on which account you wish to charge . The ” validated ” field is used to prevent further modification of the operation, when you will receive your account statement from your bank , for example ( bank reconciliation ) . The id of the operation is automatically calculated. In the payment, you must specify the mode ( transfer, cash etc …), the check number field appears when you specify a payment by check . You also have a comment field.